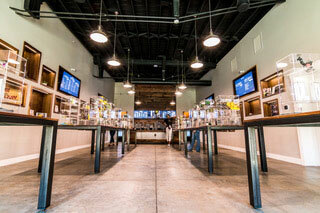 Cinder, Spokane's biggest cannabis retail company, has opened their third recreational marijuana store downtown at 2nd and Monroe. At 2,500 square feet, the new downtown store is one of the largest in the Spokane area, and it provides 12 jobs. Overall Cinder employs more than 40 people in Spokane. Cinder's other locations are at 7011 North Division and 1412 North Mullan Road in Spokane Valley. The hours are 8am to 11pm daily. The 2017 KREM 2 Diaper Drive was a huge success. Pictured above, Scott Brewer, GM of Larry H Miller Downtown Toyota presents his $5,000 check for the Diaper Drive. The numbers are in, and it's a win for area babies. KREM 2 and Rosauers partnered last week to collect donations from our community. The result was more than 200,000 diapers for the Vanessa Behan Crisis Nursery. Now in its ninth year, the KREM 2 Diaper Drive has provided over 1.3 million diapers to the Crisis Nursery. With the help of area Rosauers shoppers, KREM 2 viewers and area businesses, the Diaper Drive supplies diaper bags to families in need. Each bag contains 50 diapers and a package of wipes. Many of the families that access the Vanessa Behan Crisis Nursery request help with diaper costs. The Nursery finds that roughly one in three Spokane families struggle with buying diapers on a regular basis. This year's drive was a major success, thanks in part to generous contributions from local businesses including Larry H. Miller, Washington Trust Bank and Western States Cat. 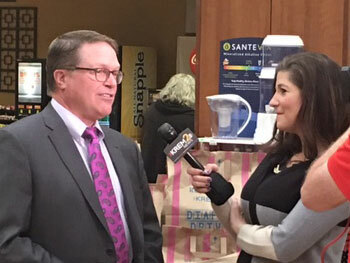 United Healthcare Community Plan sponsored the KREM 2 Diaper Drive for the first time this year. 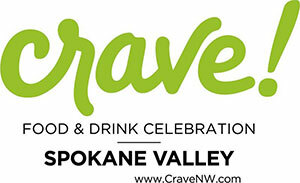 Crave NW at Spokane Valley, the Inland Northwest's premier food and drink celebration, will be held June 15-18 at CenterPlace Regional Event Center, in Spokane Valley. 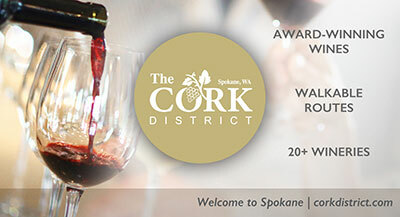 Presented by the City of Spokane Valley, Crave NW is a unique culinary event that will showcase the creative talents of visionary chefs from around the region and highlight the flavors of the great Northwest. Our state's unemployment rate is at a historic low! According to the state Employment Security Department, Washington added 1,200 new jobs in April and the unemployment rate fell from 4.7 percent to 4.6 percent, matching the state's historic low for unemployment last reached in June 2007. The Network Edge Business and Tech Forum, Creating Smart Cities & Harnessing the Internet of Things (IoT) is a free event on June 7 at The Davenport Grand Hotel, 8:30am to 12:30pm. How can Spokane area businesses harness digital technology and intelligent design to create a smart, sustainable city with high-quality living and high-quality jobs? What is the 'Internet of Things' and how can organizations tap into this billion dollar industry for their own purposes of growth and maximum potential? 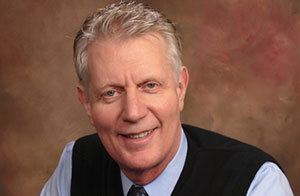 To address these possibilities, Aruba, a Hewlett Packard Enterprise company, and event partners Structured Communications and Urbanova (Spokane's smart city initiative), are flying in renowned keynote speaker, Jesse Berst, Chairman of the Smart Cities Council, (pictured above) a network of leading global companies advised by top universities, laboratories and standards bodies for their summer Network Edge Business and Tech Forum. Berst will discuss Smart Cities and the role The Internet of Things (IoT) is playing in our lives and in our organizations. Analysts believe that by 2020 global spending on IoT could reach $1.29 trillion. IoT is showing real value in various industries including industrial, transportation, municipalities, healthcare, education, retail and manufacturing. So what is all the hype about and how can organizations leverage and plan for IoT? If your organization does implement an IoT strategy, how can you ensure it is secure? What does this mean for our region-and your industry? These questions and more will be discussed during the forum. Registration is free, including breakfast, and available at fasttracks.info/2rw5mGr. 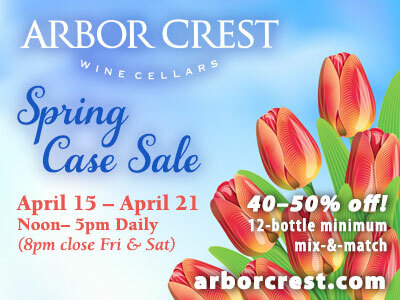 For additional information, call Bill Kalivas at 509-953-3305. The Nutrition and Exercise Physiology program at WSU Spokane has been named as an academic department and incorporated into the WSU’s Elson S. Floyd College of Medicine. The move reflects Elson S. Floyd College of Medicine's goals to be one of the first medical schools in the nation to make scientific wellness, where critical health indicators, including DNA and lifestyle, are accessed and followed by nutritional coaching, part of its curriculum. Inclusion of the nutrition and exercise physiology (NEP) department is an important step in that direction. NEP focuses on the effects of nutrition and physical activity on human health. The interdisciplinary program combines study in exercise science, human nutrition, biological sciences, and social and psychological sciences, with hands-on clinical experience. Both the Bachelor and Master of science degrees are offered. The Master of Science degree is a coordinated program in dietetics, nutrition and exercise physiology. However, the department will offer a thesis track Master of Science degree as well as a Ph.D. beginning fall 2018. Spokane SCORE Chapter 180 presents another workshop, Quickbooks for Small Business. A QuickBooks expert will guide you through using QuickBooks as a bookkeeping and financial management tool. Learn tips and shortcuts and the keys to financial management, along with resources and financial management practices. Workshop to be held this Wednesday, May 24 from 8:30am to 12:30pm at the SBA Training room, 801 W Riverside, Suite 444. For workshop cost and to register, visit www.scorespokane.org. The former Shari's restaurant location at 1829 N. Monroe has been empty since Shari's closed down that location about 4 years ago. For a time in 2016 it looked like the site was to be sold and demolished for a new Burger King restaurant. But shortly after that plan was proposed, the franchisee backed out due to the city's rules for pedestrian corridors that would likely have not allowed a new drive thru lane to be constructed. Fast forward to today and workers are now prepping the building, not to be torn down, but to be saved and turned into a new locally owned and operated restaurant. The owners behind Top of the Line Seafood & Burgers in Cheney are planning to move their restaurant operations into the building and re-naming it the Monroe Street Grill. The Monroe Street Grill is planned to open sometime in June and will feature the same breakfast, lunch and dinner menu as Top of the Line did. They also hope to soon add even more sandwiches and dinners and possibly doing more on their smoker. Also the move allows them to hire on a few more employees. Thanks to our friends at Inland Northwest Business Watch for this story. "Never look back. Because if you're looking back you can't look forward."